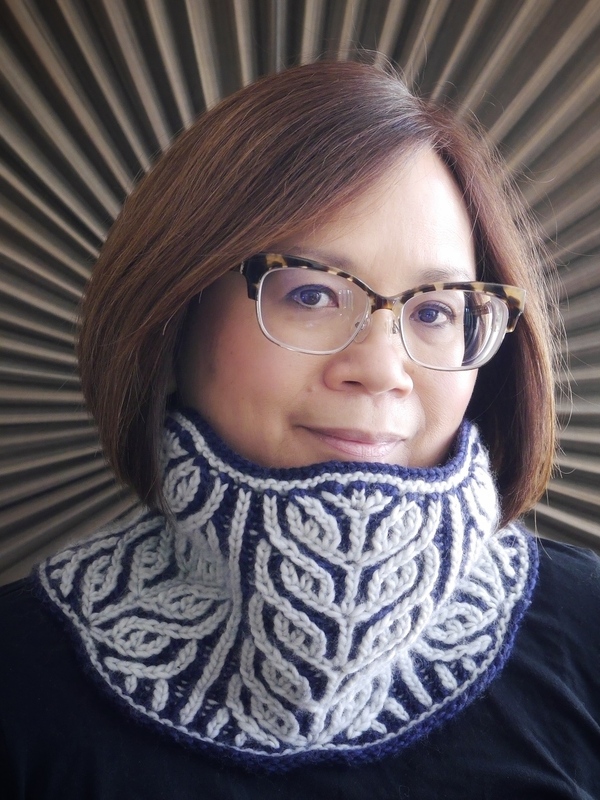 I designed this for Black Trillium Fibre Studio’s Q1 2016 Knit Along. 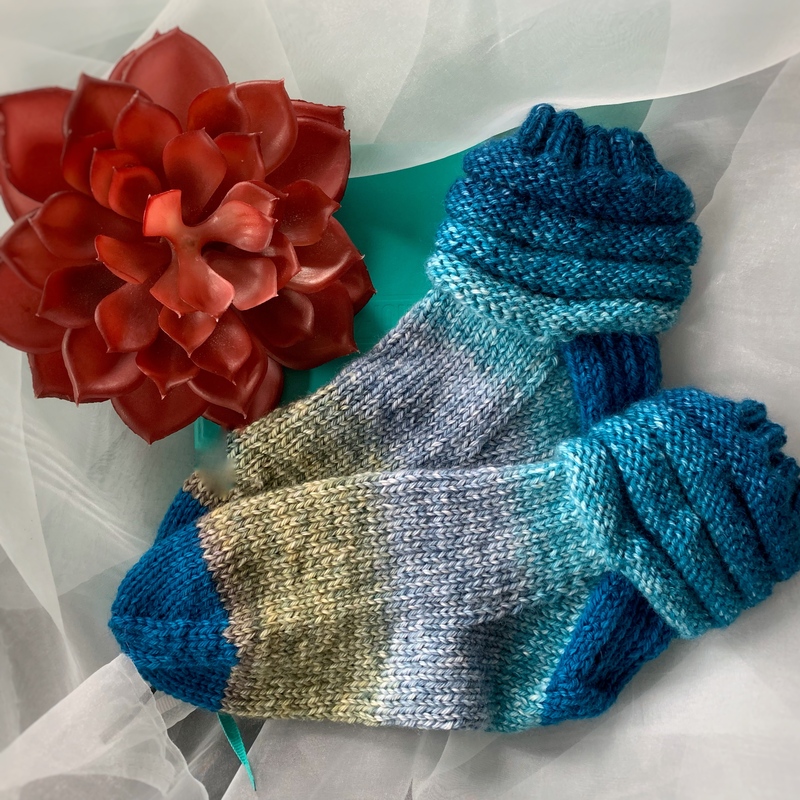 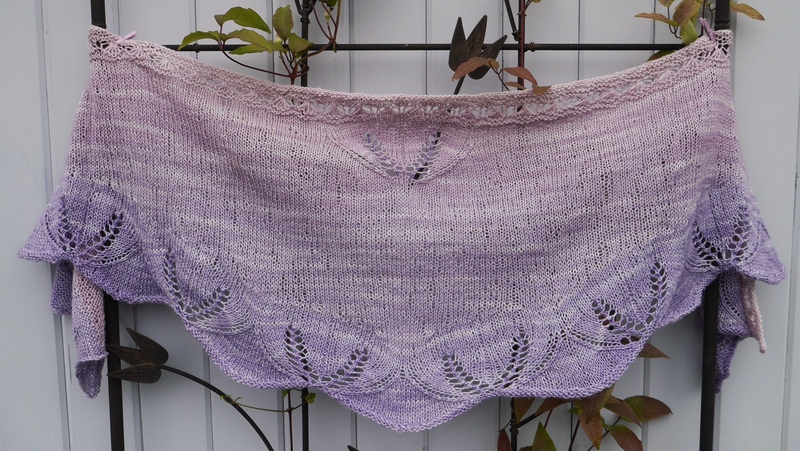 It’s knit with Melanie’s gorgeous Lilt Sock gradient yarn, 85% Superwash Merino, 15% Mulberry silk. 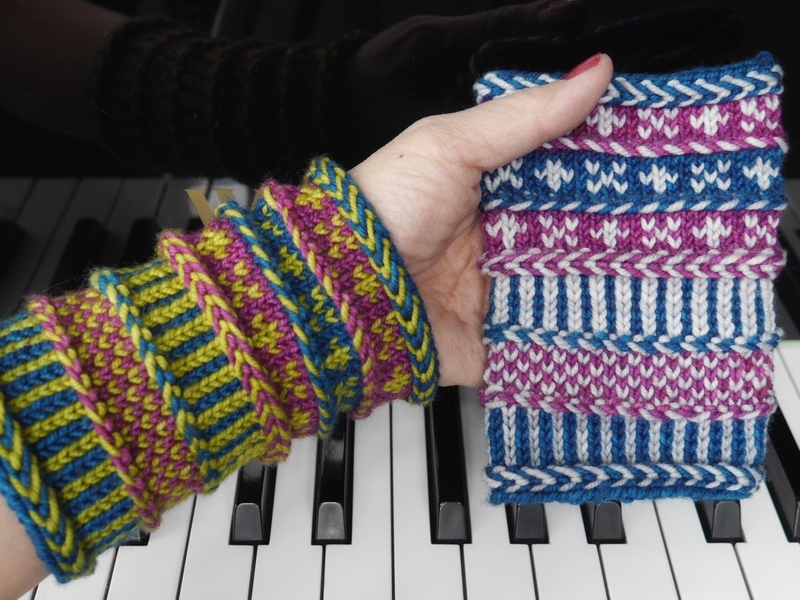 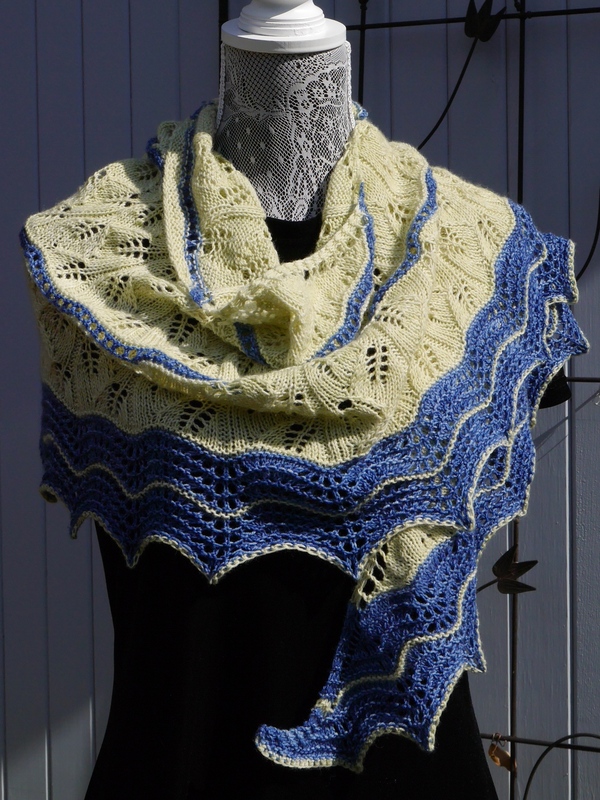 This yarn is heavenly to knit with, and the drape and hand of the knitted fabric is amazing. 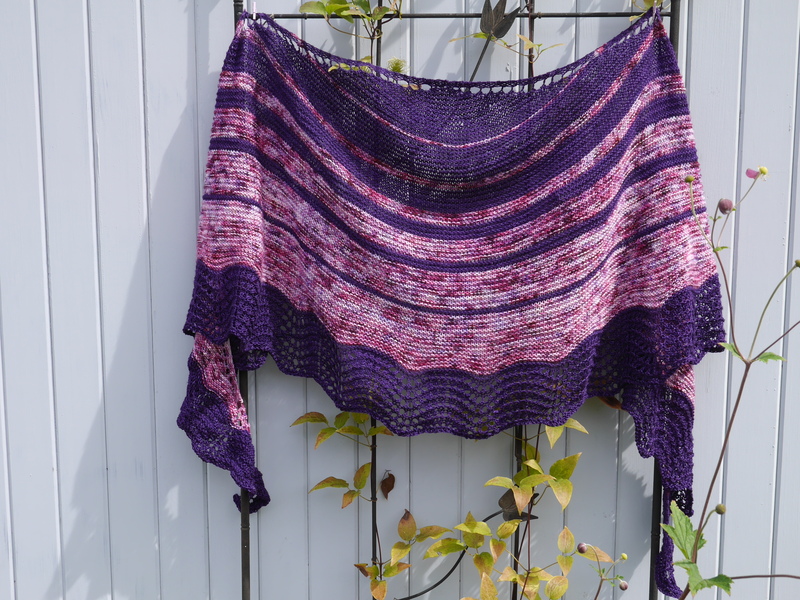 Beads are optional, but highly recommended, for additional drape and sparkle. 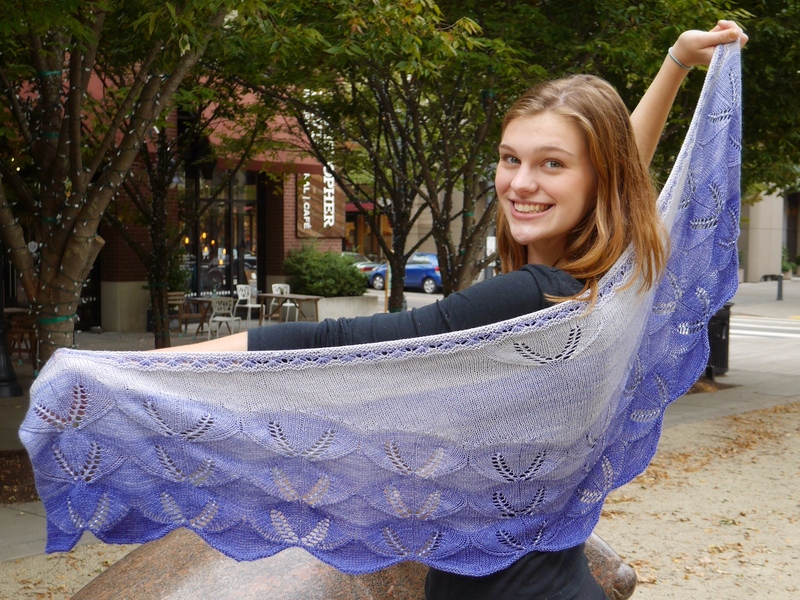 This shawl is knit in her periwinkle colorway, five gradient shades of the loveliest blue-purple. 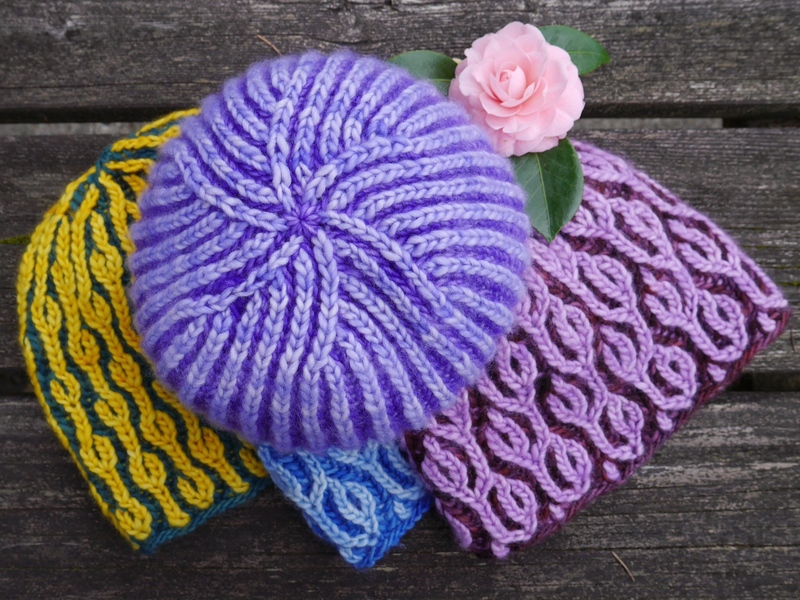 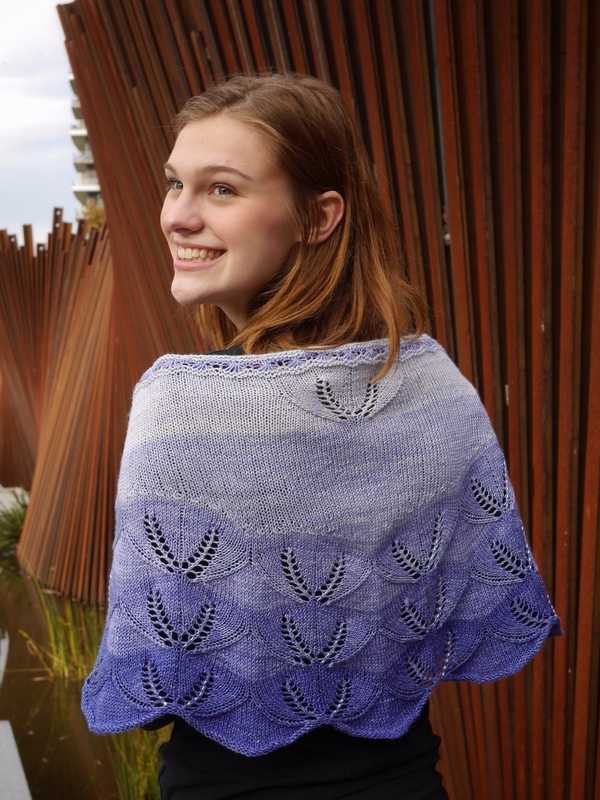 The gradient kit is 165g, 675 yards, which makes a lovely large shawl that you can get cozy in. 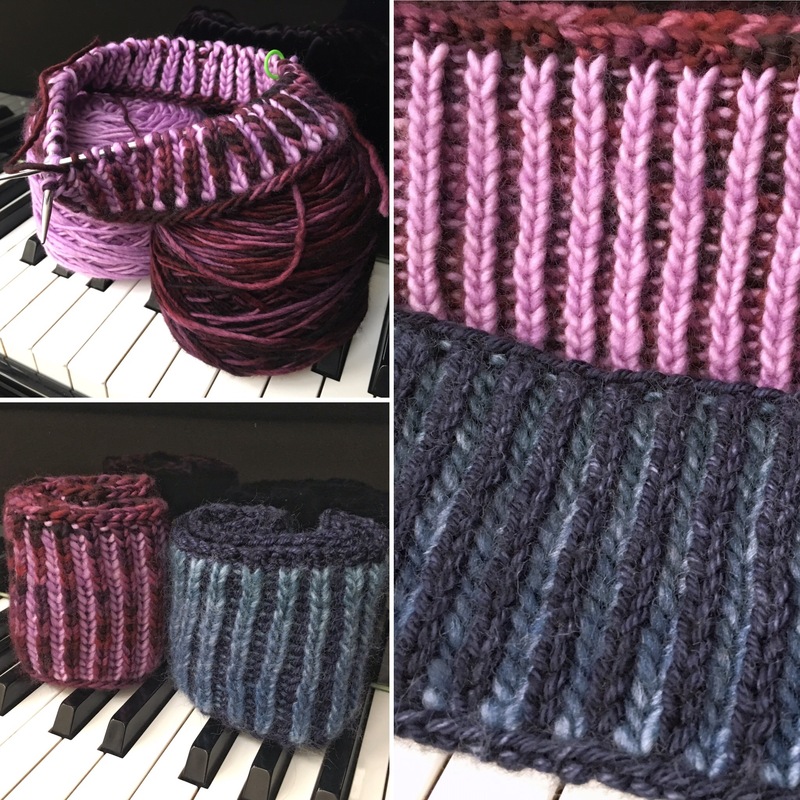 You’ll want to check out all the available colors; I had a hard time choosing. 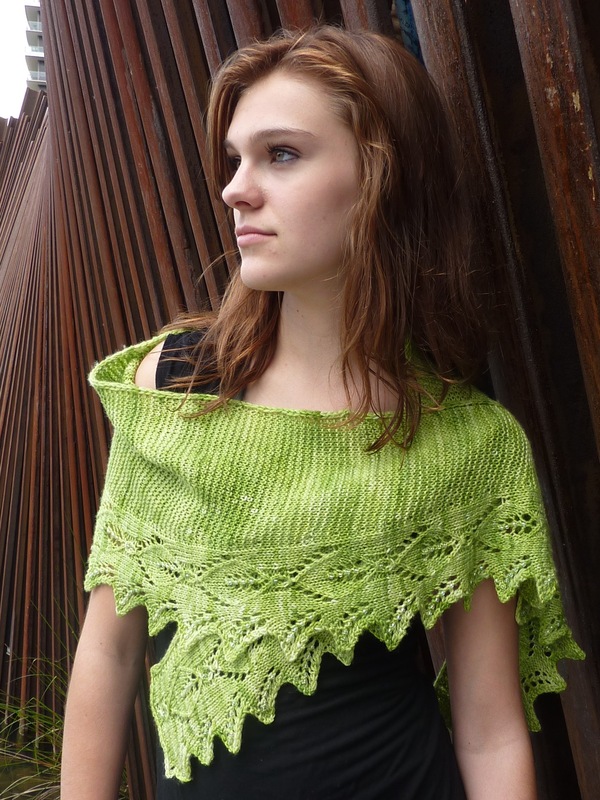 are echoed at the top of the shawl. 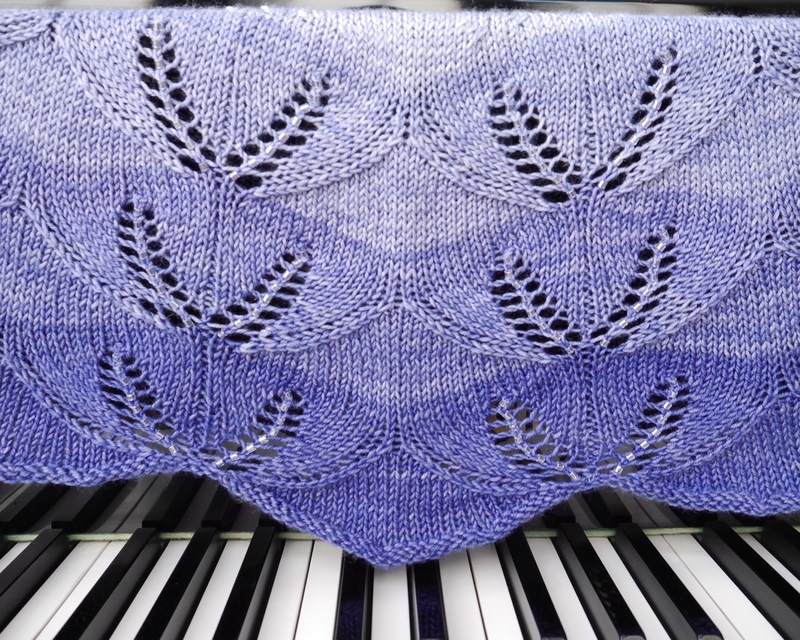 A ribbon of shell lace is set off by a garter stitch frame. 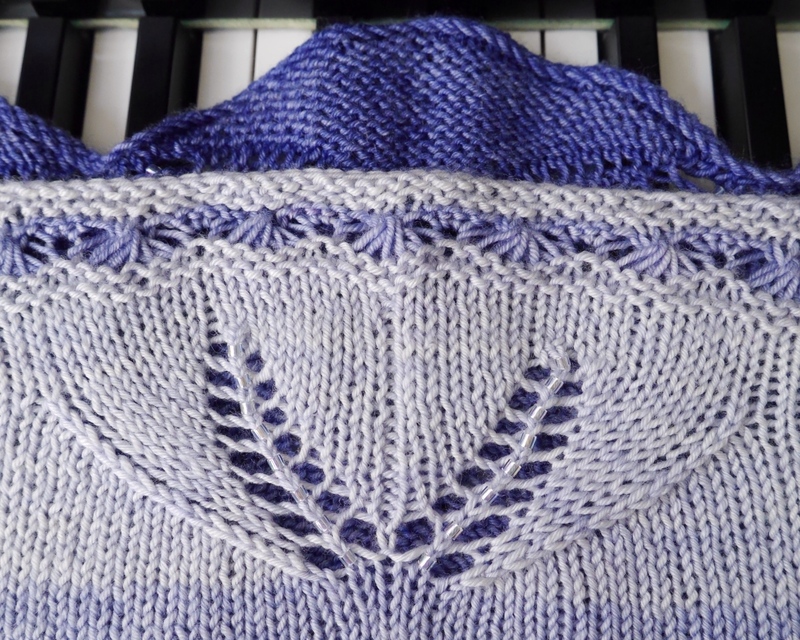 The pattern was an exclusive for Black Trillium Fibres for the KAL that ran from January 1 to March 31, 2016. 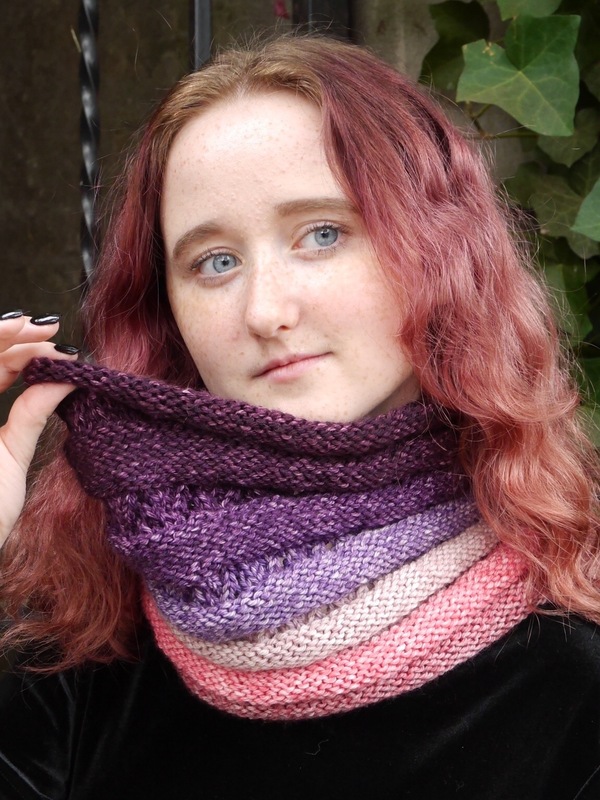 It is now available to everyone! 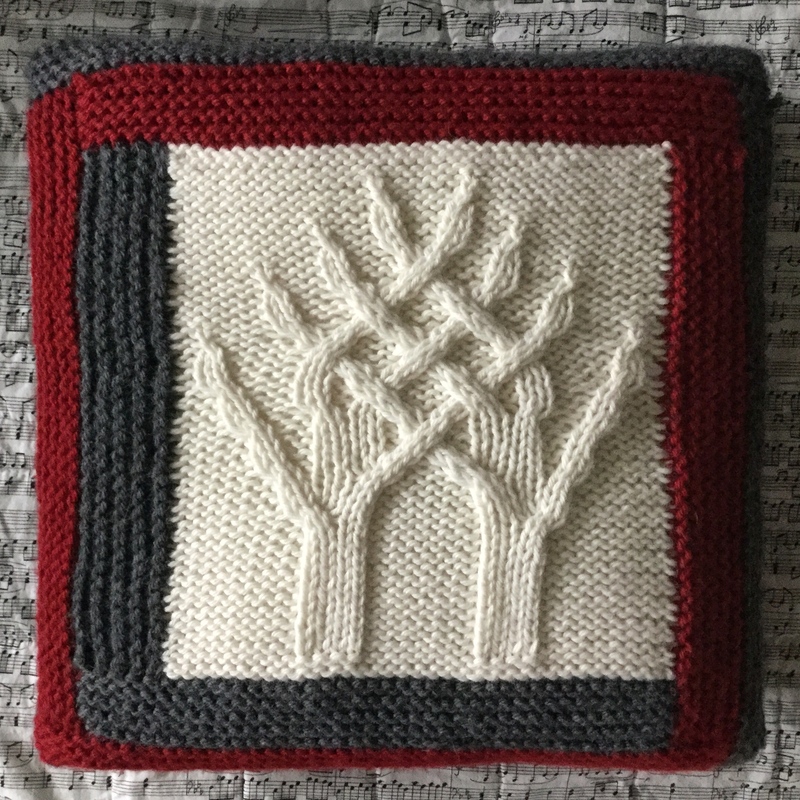 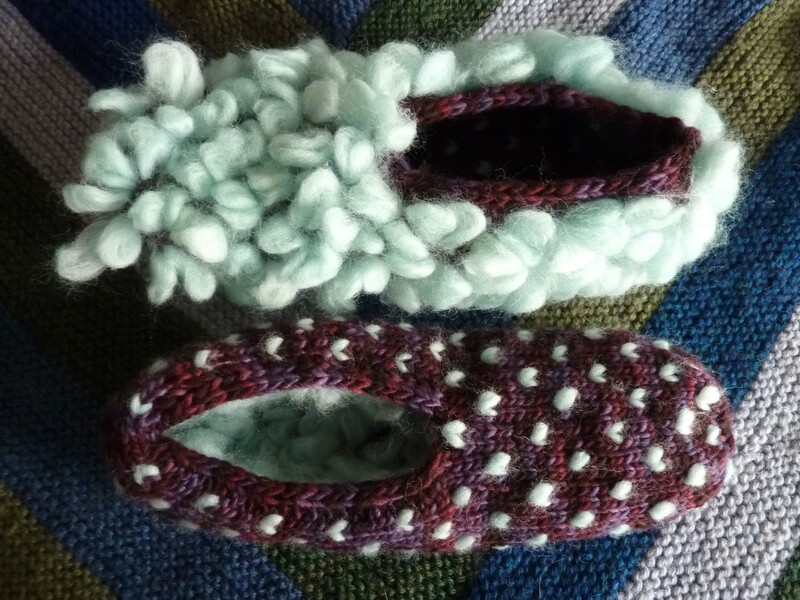 Ravelry pattern page is here. 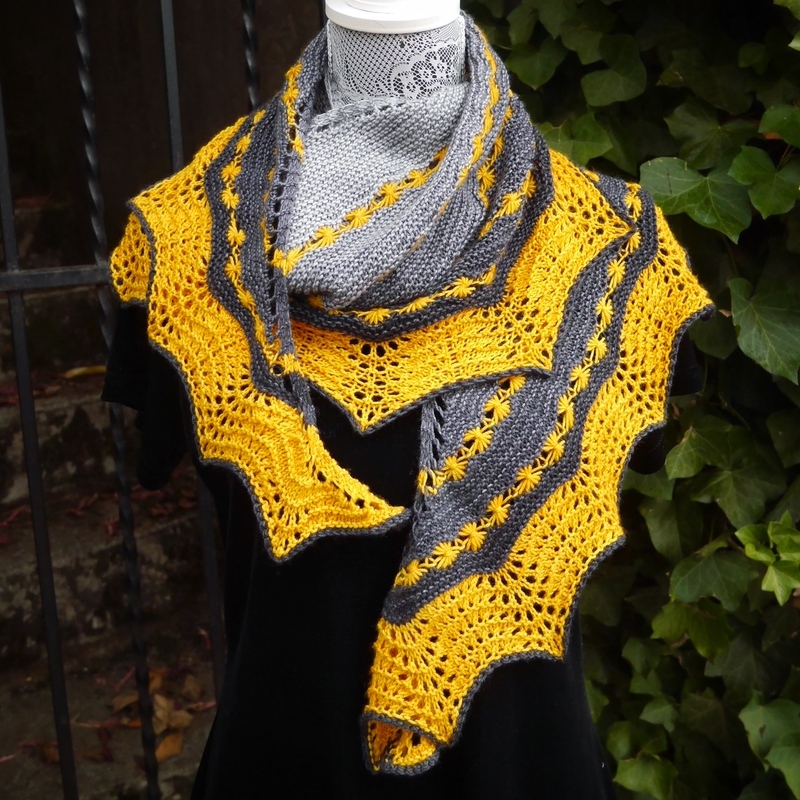 And I’ve just added a single skein shawlette version, which is included in the pattern on Ravelry. 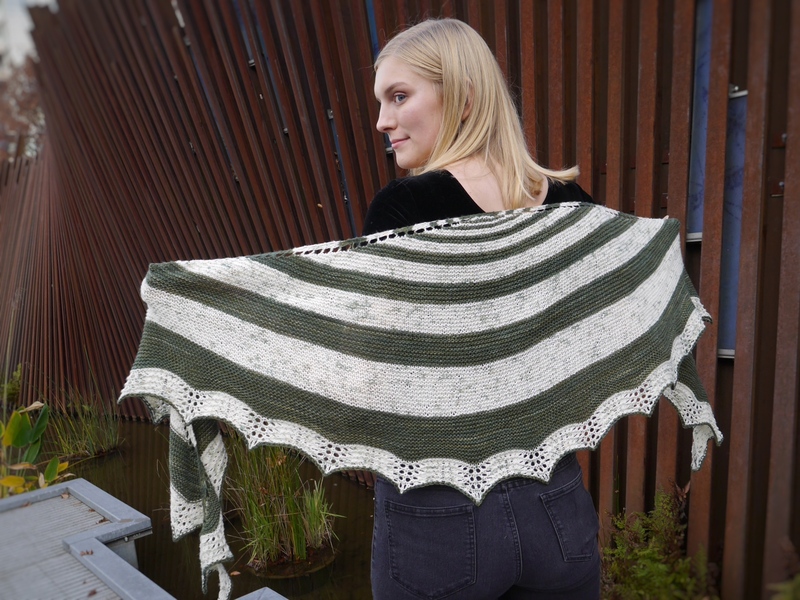 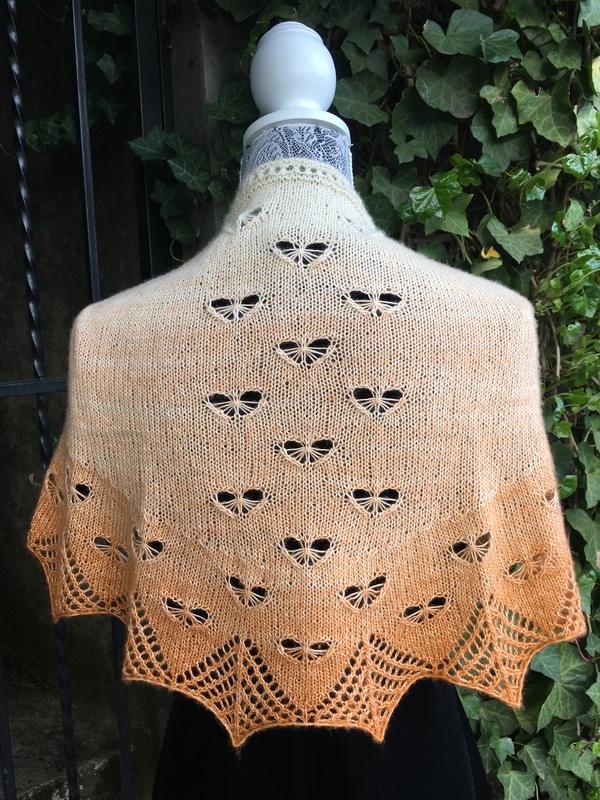 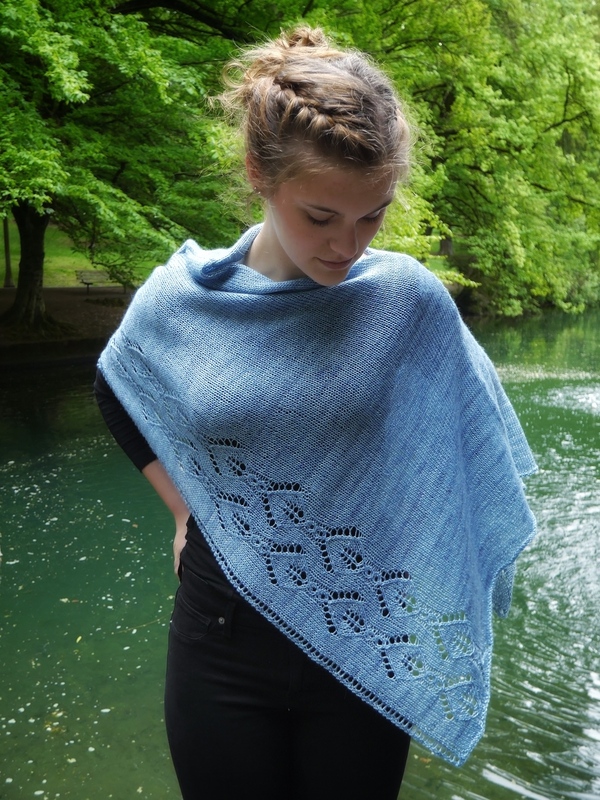 The original shawl pattern is also available through Black Trillium Fibres.